Event Marketing :: The key to a successful marketing event. The true value in marketing is happening offline at special events. Event Marketing gives brands a chance to capture untapped audiences as well as the ability to provide recognition and engagement to their communities. 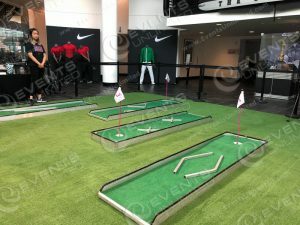 Through pop up experiences, sponsorship’s, brand campaigns, displays, exhibits, and other marketing events – connections are being made between customers and brands. In today’s world- people are spending more and more time online, faces planted firmly at screens or engaged in their mobile devices. Intelligent marketers are doing their best to interact and promote brands with people at events- during moments of true personal, face to face interaction. More and more advertising and marketing budgets are being adjusted to include event marketing funds- as dollar for dollar there is no better advertising spend than a successful marketing event. 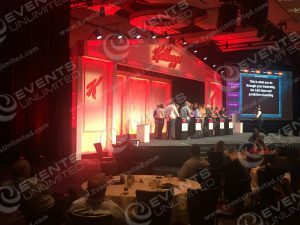 What is a successful marketing event? A successful marketing event provides a customer with a moment that touches them, an experience that they share with friends and family, a feeling that is remembered. Crafting a moment and properly influencing that moment is the key to value in marketing- finding a partner that can help you do that is essential. 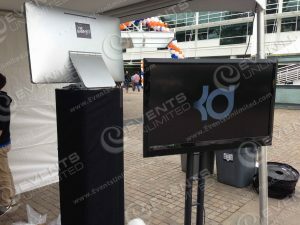 Events Unlimited has been crafting moments, executing events, and providing valuable event services to brands since 2004. 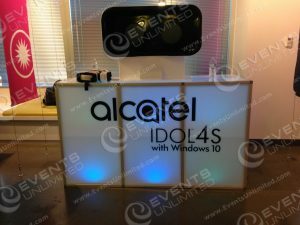 We are partners in successful events for leading companies and globally recognized brands. 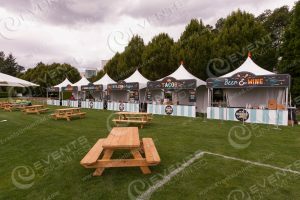 Ensuring a successful marketing event. First and foremost- when planning any event you need to define your goal. Putting together any event without a specific reason or goal for having the event is just like throwing out money. Your goal can be as simple as to provide more traffic to your store, to connect your brand with more people, or to provide awareness for a new product/promotion. Once that goal is defined it is a whole lot easier to create the experience that achieves it. We encourage brands to do something big. Knock it out of the park. Make an impact. Make your presence known. If you have an idea- and you don’t know how to achieve it, Events Unlimited can help. We have full fabrication facilities, years of knowledge, and a team of great minds. We are here to help.